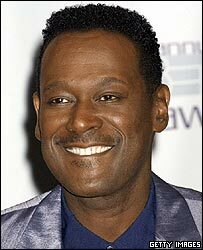 American soul singer Luther Vandross has died at the age of 54, two years after suffering a major stroke. One of the leading romantic singers of his generation, he sold 25 million albums and won dozens of awards. Even after his stroke in 2003, he kept recording, winning four Grammys for his final album Dance With My Father. Tributes from stars such as Aretha Franklin and Michael Jackson poured in after his death, at the JFK Medical Centre in New Jersey, was announced. The singer "had a peaceful passing under the watchful eye of friends, family and the medical support team," said hospital spokesman Robert Cavanaugh. He did not give the cause of death but said the singer had never fully recovered from the stroke he suffered in his Manhattan apartment in April 2003. His publicist, Jeff O'Conner, said his death was "a huge loss in the R&B industry". "He was a close friend of mine and right now it's shocking," he was quoted by the Associated Press as saying. Mr O'Conner said he had received calls of condolence from Aretha Franklin, Michael Jackson, Patti LaBelle and Quincy Jones. Singer Roberta Flack paid tribute to her friend of more than 20 years in a telephone call from Japan. "He was a musician who couldn't help but give you all he had," she said. "He was the kind of guy who was born to do what he did musically and let the world know about it. He was not born to keep it smothered in the chest." Born in a housing project in New York, Vandross got his lucky break as a backing singer for Britain's David Bowie in the mid-1970s. He soon became one of the industry's most popular session singers and vocal arrangers, performing for the likes of Barbra Streisand, Ringo Starr and Chaka Khan. His debut solo album came in 1981, and he won his first Grammy in 1990 with the single Here and Now, winning five more the following year with The Power Of Love/Love Power. He was known for his rich, mellow voice, which harked back to a less explicit era in his songs of romance and desire. "I'm more into poetry and metaphor, and I would much rather imply something rather than to blatantly state it," he said. "You blatantly state stuff sometimes when you can't think of a poetic way to say it." 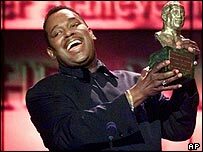 Vandross battled for years with fluctuations in his weight, as well as diabetes and hypertension. Although he continued to record after his stroke, Vandross made no further public appearances.